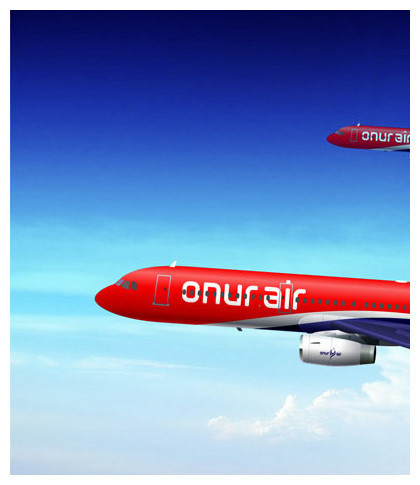 Onur Air is a Turkish airline with a corporate identity that could use some improvement. 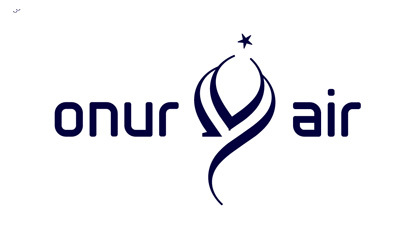 Their logo is a clipart-like stylized tail of an airplane, the typeface they use looks like a version of Bauhaus (1925) and their airplanes don’t look very sophisticated. 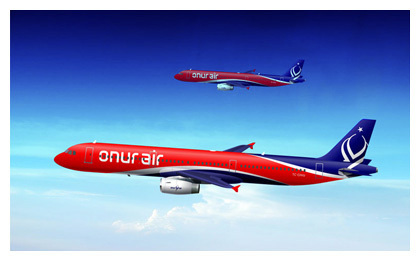 Granted, my solution isn’t perfect, but it’s less generic looking than the current Onur Air identity. 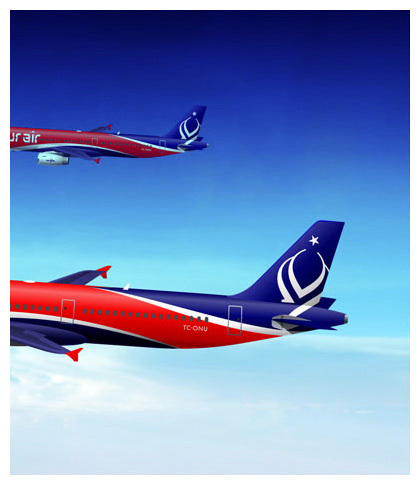 I still feel they should have used my design, which they didn’t.